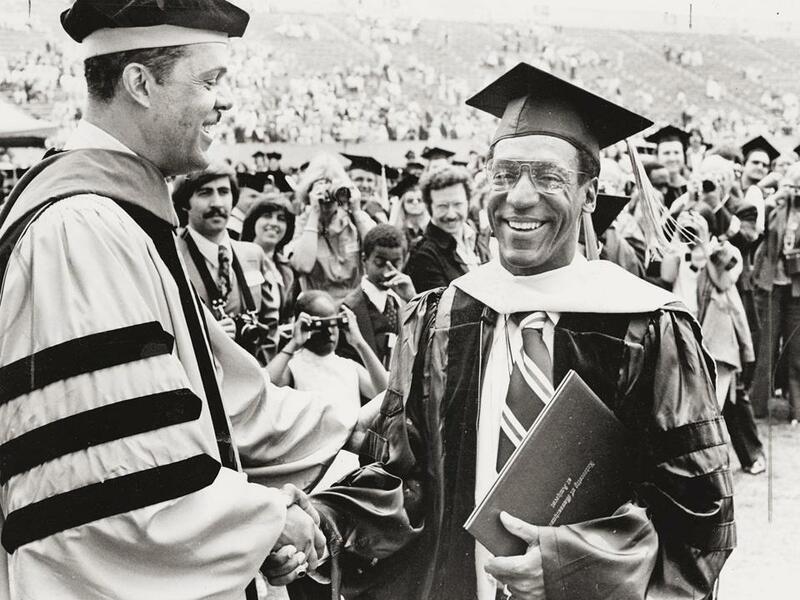 Bill Cosby received a doctorate from UMass Amherst in 1977. The University of Massachusetts Amherst severed its ties Wednesday to alumnus Bill Cosby, joining a growing number of colleges to distance themselves from the entertainer amid accusations he sexually assaulted more than a dozen women. Cosby, who received a master’s and a doctorate in education from the college, was an honorary co-chairman of the school’s ongoing $300 million fund-raising campaign. He and his wife, Camille, donated several hundred thousand dollars to the school, and the comedian was frequently cited in the past as one of the university’s most notable alumni. Just a day earlier, the state’s flagship college had said Cosby was remaining in the honorary post. But Wednesday, UMass officials asked Cosby to step down from the capital campaign, and Cosby agreed to do so, according to university spokesman Edward Blaguszewski. “He no longer has any affiliation with the campaign nor does he serve in any other capacity for the university,” Blaguszewski said in a statement. Some UMass Amherst students praised the decision. Berklee College of Music distanced itself from Bill Cosby amid accusations against him, but UMass Amherst is maintaining its ties. The announcement by the college followed a call Wednesday by Attorney General Martha Coakley for UMass to end its relationship with Cosby. “At a time when the state is focused on prevention and response to sexual assaults on campus, allowing Mr. Cosby to continue to represent our state university sends the exact wrong message,” Coakley wrote in a letter to the college. “Although Mr. Cosby has not been criminally charged nor convicted for these actions, the UMass community has discretion to determine who should be the ‘face’ of the university at any time,” Coakley wrote in the letter, which was also sent to UMass system president Robert Caret and Henry Thomas, chairman of the system’s board. “I believe the volume and disturbing nature of these allegations has reached a point where Mr. Cosby should no longer have a formal role at UMass, nor be involved in its fund-raising efforts, unless or until Mr. Cosby is able to satisfactorily respond to these allegations,” she added. Cosby, a longtime advocate of education, has donated millions to colleges around the country. A recent report on donations to UMass Amherst indicates the Cosbys have given the school between $250,000 and $499,999. Cosby also did a benefit performance in 2004 that raised $1.5 million. 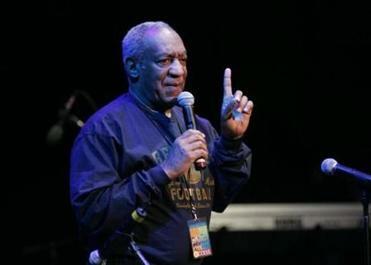 Cosby’s lawyer has called the allegations unsubstantiated. But as many colleges struggle to better address sexual violence, some schools have reassessed their relationship with him. As the Globe reported Wednesday, Berklee College of Music in Boston — which like UMass Amherst is one of more than 85 colleges nationally facing a federal investigation for their handling of assault cases — has removed Cosby’s name from an online scholarship it awards. High Point University in North Carolina has temporarily removed Cosby from its advisory board “until all information on this matter is available,” said campus spokeswoman Pamela Haynes. Other colleges, however, maintain ties with Cosby. He remains a member of the board of trustees at his undergraduate alma mater, Temple University. The entertainer has been a trustee since 1982 at the school in his hometown of Philadelphia. At UMass Amherst, senior Nayha Chopra-Tandon said the allegations have come as a shock to some students. “I know people who grew up watching Bill Cosby everyday and knew him as a father figure,” she added. She said that although Cosby has shown great generosity toward the school, officials made the right move. “Not because it’s a scandal, but rather because it projects the message to the student population that UMass won’t allow a culture on campus or of its alumni that victim blames, like some other universities, or that it doesn’t promote the safety or wellbeing of students,” she said. Ty Burr: Why did we ignore Bill Cosby allegations for so long? Material from the Associated Press was included in this report. Matt Rocheleau can be reached at matthew.rocheleau@globe.com. Follow him on Twitter @mrochele.